1.A door begins to jam or fails to latch. 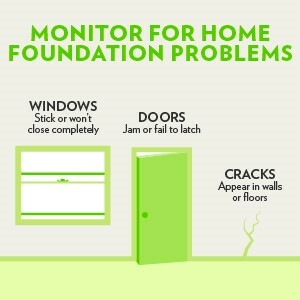 2.Cracks appear in walls, especially over doorways, windows, or where walls meet ceilings. 3.Cracks open in vinyl or ceramic tile over a concrete floor. 4.Windows that used to open and close easily suddenly begin to stick or won’t close completely.